Mood music is a phrase that evokes either sounds for some downtown lovin’ or something more in the vein of Jackie Gleason’s’ For Lovers Only. (Believe me, despite the title, there is a HUGE divide between the two categories, unless polystyrene swanky schmaltz is your hormone-tuning grab bag.) But mood music can also encapsulate something as definable yet singular like, say, a season. For example, an album like Nico’s The Marble Index is perfect for the beauty and severity of winter, while Rhino Records’ comp, Shake it Up!-American Power Pop II (1978-1980) has all the sunny freshness that lends itself to a supreme spring. While it is an easy pitch to pluck anything out of the pop or especially the surf genres (and boy howdy, I do love me some surf music, instrumental style), there is one particular album that taps into all of the hope, heat, nostalgia-some more bitter than sweet, and languid atmosphere that is the full range of summer and that work has to be Blue Oyster Cult’s 1977 album, Spectres. 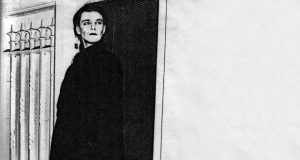 With a title like that and sporting two back to back songs about vampirism, it may seem more of a fit for the waning light and chilled winds of autumn. 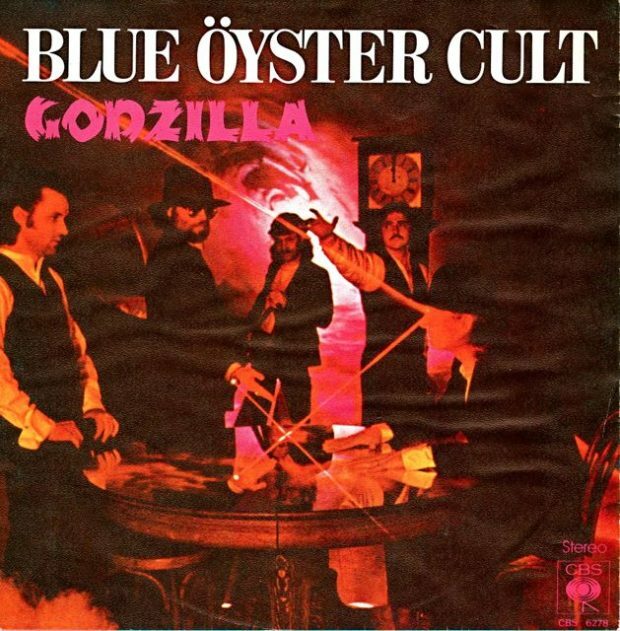 That’s not necessarily wrong either since the best season to listen to Blue Oyster Cult is EVERY season. But there’s something very special about Spectres. A tonally strange album, even for a band whose career is defined by being fearless in their exploration of subjects ranging from the nightmarish and melancholy to the colorful and mystical, Spectres on the surface runs the gamut from hard rockin’ anthems (“R.U. Ready to Rock”, “Godzilla”) to neo-1960’s style garage pop (“Goin’ Through the Motions”) to atmospheric ballads (“I Love the Night”), much like the range of memories and change that shine down upon us with the dawning of the Summer Solstice. The beginning of every season has its own unique charge with summer being no exception. Depending on where your feet and seat have landed, the air starts to get a bit thicker and languid. Hormones and adrenaline fueled by school-break end up being one helluva of a combination, with long, oppressive days and the night bringing fresh air relief and whispers of magic that is denied to you the rest of the year. Spectres opening track, “Godzilla”, is that hard rock anthem that serves two great purposes, invoking both the epic destruction and sheer cryptozoological mondo size of the titular creature along with the huge fun of getting to watch said monster do its Tokyo-destructing dance. Imagine the sheer thrill of getting to see Godzilla or hell, ANY monster movie, at a drive-in theater, breathing in a lungful of cooling night air while you get to give the middle finger to your usual bedtime as you stay up to catch the second or third feature. It’s the childhood thrill of the onset of summer. 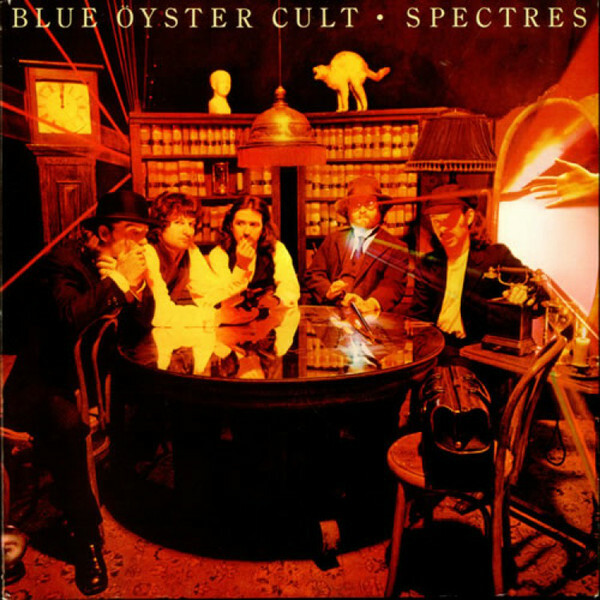 Very few artists can successfully merge the sense of near romantic poetry with some precision brutality quite like Blue Oyster Cult, with the lyrics early on mentioning, “passed from man to man/a wanton child too dead to care/that each would find his pleasure as he might.” That bit of ripe ugliness is true to life, but so poetically handled that it’s initially easy to miss until you really start paying attention. That’s when the onion really begins to unravel. Musically, it is brilliant with the nearly six minute song being comprised of three sections that all segue into the other with speed and accuracy. There’s also the overall vibe of people past their youthful prime looking back with weary eyes and ribbons of nostalgia and Old Milwaukee swimming in their head while their kids play in the yard with a garden hose and the missus is whipping up a pasta salad with a fine crumble of resentment. Hot days can make for some lonely, aching nights. Loneliness always seems to feel extra lucid and looming in the summer, especially right before “hangover time.” “Death Valley Nights” was written by the most underrated band member of BOC, drummer/singer Albert Bouchard and legendary rock critic Richard Meltzer. The song is all about desperation for love before the end of the line, which could be literal or figurative here. They say it’s always darkest before dawn, but that is only if fortune lets your eyes see the morning sky. Anguish and heartache can be toxic bedmates, with the sad need in “Death Valley Nights” morphing into an urgency where it’s either true love or dark intention with “Searching for Celine.” Sweaty, frantic nights with Eric Bloom singing about how he’s been “talking talking talking in my sleep. 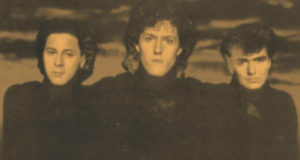 I’ve been talking talking… talking to Celine.” Keyboardist Alan Lanier’s lyrics have this taut possession vibe, echoing the kind of insomniac thought processes that can rattle in your head when it’s 3:45 in the morning and your brain will not let you sleep. It’s not healthy but it is what it is. Bouchard’s lyrics let enough light in to paint the picture of a fearful young woman and an amorous man looking for her near the water. After that, things get more deliriously cryptic, with the chorus talking about “blazing red” fireworks shooting up and pouring down on her head. Is it love and sexual discovery, or something far more bloody and sinister? “Fireworks” for the longest time strongly reminded me of Jonas Middleton’s beautiful and intensely disturbing 1975 film, Through the Looking Glass. There’s even a line later on in the song that says, “She went down on a snow white pillow/To cast herself in the looking glass.” There’s a loveliness and strange darkness throughout “Fireworks” that marks it one of BOC’s best deep cuts. Much to my demented sadness, I found out that Bouchard’s actual intention with the song was far more sweet than the visions of blood and lakeside damaged lust playing in my twisted head! But either way, it’s an absolute stunner of a song. 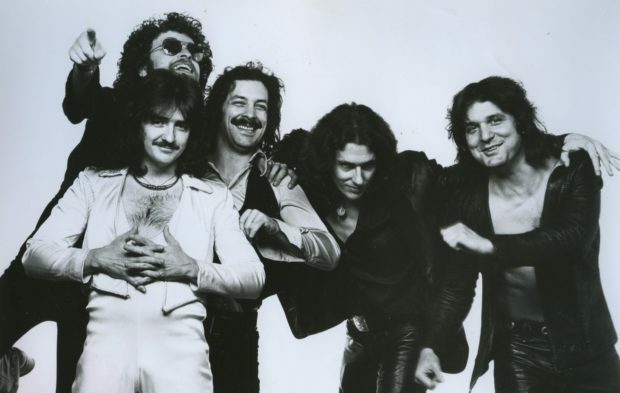 One of the band’s biggest live numbers and for good reason, the song is classic hard rock with the Blue Oyster Cult spin, involving a sonic level gut punch with matters that are a little more deep, strange, and even mystical being hinted at here, with the powerful refrain of “I only live to be born again” shining ray-like upon the listener. It has the burst of transformation, whether that is growing up or growing out or full-on peeling off your old dead skin so you can feel more vital. More alive. The crops are strong and that fleeting light you saw in the night sky could be an unknown presence in the guise of a shooting star. The tangle of human emotions with the ole-put-on of ill-fated one-night stands can make for a spicy and sad cocktail that is sung about with absolute heart-felt perfection by Eric Bloom in “Goin’ Through the Motions.” This is one of those exquisitely deceptive catchy songs that have that surface pop-rock hook that belie the wounded and nasty lyrics. Lines like “You were a friend for a day, so don’t cry when I say that you got what you wanted, it’s okay,” feel honest in one of the most ugly ways possible. It takes guts to lay your cards out there truthfully, with every scratch, bruise, and tear showing up with all too visible clarity. Even better was that it was released as a single, which makes sense because it is brilliant, but is also amazing given how raw and cynical the lyrics are. The final track is about one of the greatest and most famous of vampires, Nosferatu! How many hard rock bands could take direct inspiration from F.W. Murnau’s brilliant 1922 illegal cinematic adaptation of Bram Stoker’s 1897 novel, Dracula and turn it into a great song? Unless there’s some bootleg Rolling Stones track called “Varney the Vampyre,” the answer is not many! It’s a perfect closer, both of the album and of the season of summer. The last wisps of summer mercifully gives itself to the chillier winds and turning of the leaves of autumn. The lonely eyes and hungry mouth of the vampire will guide you out of the unforgettable, sticky flames, and sickly-sweet memories, afterthoughts, and overall thrall of summer. 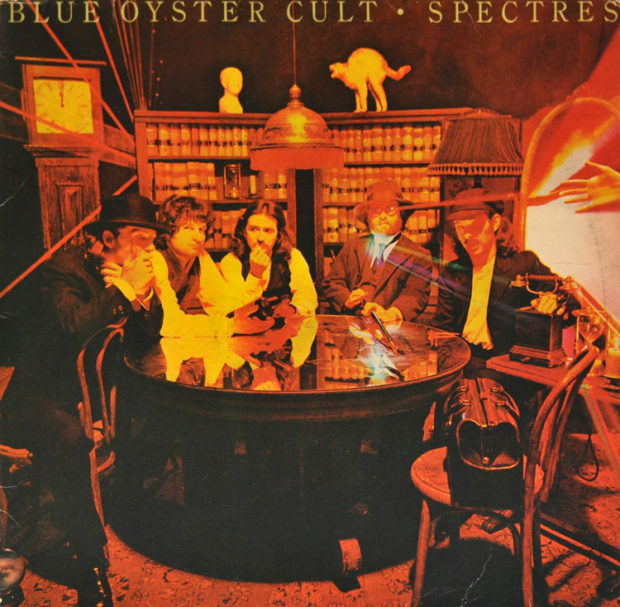 So as the temperature rises and the light grows painfully white-hot brighter, don’t forget that music can always assail the lonely-lost soul and you can do no wrong by listening to some Blue Oyster Cult. This is dedicated to my late friend Scott, who was the first person I truly bonded with over Blue Oyster Cult. His descriptions of walking home after working an evening shift while living in Mississippi and listening to Spectres was a huge inspiration for this piece. I can’t listen to I Love the Night without thinking of you, my friend. Schwartz, John. “A Harvest of Life, A Harvest of Death: Other Items of Interest. “ Hot Rails.Co.Uk. 25 April, 2009. Web. 08 May, 2018. That should be “Swartz”, not “Schwartz” – I was the “editor” of the “BOC FAQ” (Frequently Asked Questions About BOC) and compiled at the time (circa early 90’s) a bunch of information that could be found on the internet on BOC (supplemented by information from fellow on-line BOC fans, and discussions with a few of the bandmembers and the President of the BOC Fan Club at the time). Many thanks to the “Hot Rails” site for keeping this information alive and nice to see it is still being referred to. This is a brilliant review. Spectres is one of my favorite albums of all time, though in my playlist it’s a perennial Autumn favorite (along with Danzig II and Black Sabbath’s The Headless Cross). One of the ultimate “night driving” albums too. Thanks for writing this article!